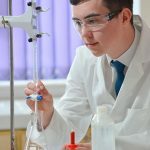 The Key Stage 3 Science course is based on the AQA KS3 science syllabus, supported by Dynamic Learning. There are 10 units in each of Years 7 and 8, split into topics as shown below. Each unit initially focuses on key knowledge from KS2 and develops this into KS3. The topic is then extended to look at applications and context. Practical work and investigations are key to developing practical skills as well as the scientific skills of prediction, planning, collecting of data, analysis, conclusion and evaluation and this is developed through each topic via an enquiry task.. Each lesson provides an opportunity for the student to assess progress in knowledge, understanding and skills. Each unit (or pair of units) at KS3 is assessed by an end of unit written test. A unit will typically take 4 weeks of class study time. Feedback is given through mixture of Assessment Grades and formative comments on students’ work. Currently GCSE courses are commenced in Year 9 with all students studying the same topics during the year. Biology gives students the opportunity to gain a good understanding of human biology, organisms, evolution and the environment. 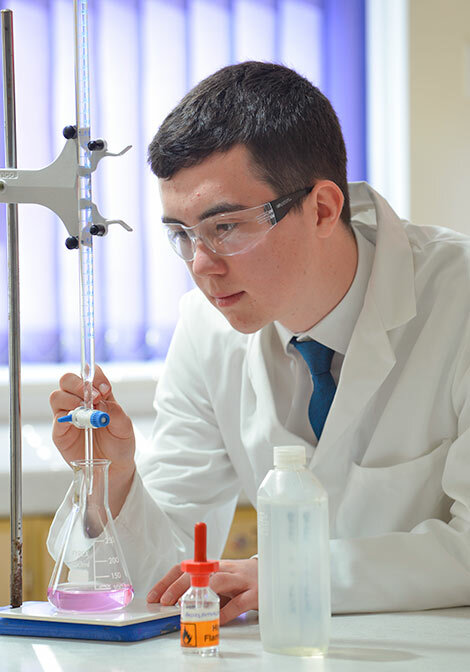 Chemistry gives students a good understanding of the nature of substances and how they react together, how chemistry is used in business and industry and how our use of fuels affect the local and global environment. Physics gives students a good understanding of the use and transfer of energy, as well as an insight into the nature of waves, radiation and space. They also learn about the application of physics in the real world they live in. There are 12 required practicals for A Level. A Level students will get a Practical Competency Certificate if they complete these to a high enough standard. For both qualifications 10% of the marks in examinations are for maths skills. study Chemistry in a contemporary context. Students are given a solid grounding in foundation Chemistry. The course introduces the chemical reactivity of atoms and molecules and provides an understanding of their structures. The development and use of the periodic table is explained. Students are credited for work done in routine class practicals by working towards a Certificate in Practical Competency. Practical skills are assessed by written questions in both papers 1 and 2. Students develop the concepts of physical chemistry introduced at in Year 12. Students study kinetics, equilibria, organic chemistry and spectroscopic techniques to determine the molecular formulae and structures of organic compounds. Students will continue to gain credit for work done in routine class practicals. These qualifications are linear. Linear means that all three A-level papers are taken at the end of the course. This unit involves two contrasting topics in physics: particle physics and electricity. 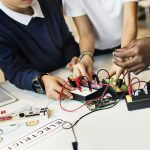 Through the study of these topics, students should gain an awareness of the on-going development of new ideas in physics and of the application of in-depth knowledge of well-established topics such as electricity. Particle physics introduces students to the fundamental properties and nature of matter, radiation and quantum phenomena. In contrast, the study of electricity in this module builds on and develops previous GCSE studies and provides opportunities for practical work and looks into important applications. This is the first A Level module, building on the key ideas and knowledge covered in Year 12 physics. The first section advances the study of momentum and introduces circular and oscillatory motion and covers gravitation. Electric and magnetic fields are covered, together with basic electromagnetic induction. Electric fields lead into capacitors and how quickly they charge. This module consists of two sections. The first part of Section A ‘Nuclear and Thermal Physics’ looks at the characteristics of the nucleus, the properties of unstable nuclei and how energy is obtained from the nucleus. In the second part of section A, the thermal properties of materials and the properties and nature of gases are studied in depth. Section B offers an opportunity to study an optional topic to gain deeper understanding and awareness of a selected branch of physics, most likely to be ‘Turning Points in Physics’. This qualification will provide learners with a broad understanding of vocationally-related sciences to support progress to higher education. 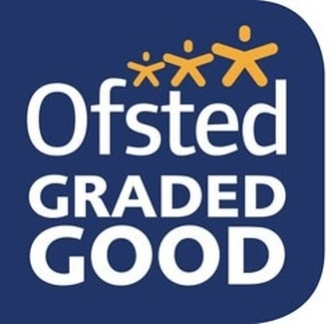 It is suitable for studying alongside substantial academic science qualifications, such as A-level sciences or other Level 3 vocational qualifications. This qualification can also prepare learners to take up employment in the applied science sector, either directly after achieving the qualification or via higher education. 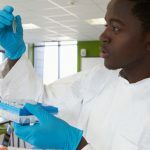 Studying this qualification will enable learners to develop their knowledge and understanding of scientific principles, as well as those scientific practical skills recognised by higher education institutions and employers to be most important. The qualification also offers learners an opportunity to develop transferable skills such as problem-solving, research and communication as part of their applied learning.